Night Catches Us Catches the Critics Too! Sometimes, the frontrunner isn’t the first one to cross the finish line. 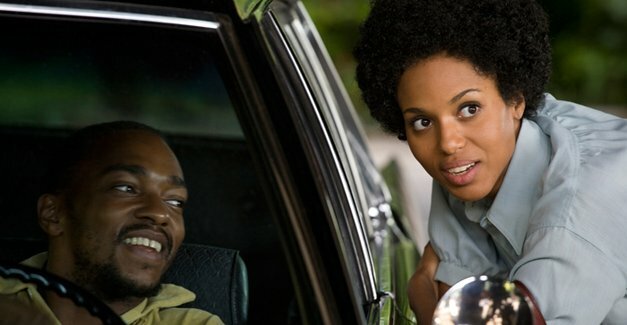 Although it was nominated a staggering 14 times (a Black Reel Awards record), Tyler Perry’s sexual abuse drama, For Colored Girls took home only three awards this year. By contrast, Night Catches Us, the story of a man whose dark past will not let him go, nearly swept its nominations, winning five of the seven categories in which it was nominated, including Outstanding Film, Outstanding Screenplay (Tanya Hamilton), Outstanding Actor (five-time nominee Anthony Mackie, who also won last year in the Outstanding Supporting Actor category for The Hurt Locker), Outstanding Actress (Kerry Washington) and Outstanding Score (The Roots). The coveted Outstanding Director prize went to The Hughes Brothers for the apocalyptic thriller The Book of Eli, while Outstanding Supporting Actor went to Wesley Snipes for his role in the crime drama, Brooklyn’s Finest. John Legend won Outstanding Song for “Shine,” from the education documentary Waiting for Superman, which also won for Outstanding Feature Documentary. Preacher’s Kid won the award for Outstanding Independent, while Katrina’s Son took home the award for Outstanding Independent Short. Outstanding Independent Documentary and Outstanding Television Documentary went to For the Best and For the Onion and If God is Willing and Da Creek Don’t Rise respectively. 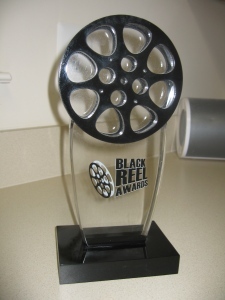 Preacher’s Kid | Warner Bros.
Reel Poll | The Best Black Reel Awards Best Picture Winner!